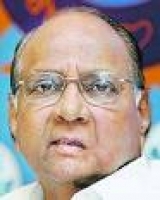 Being agriculture minister of India Mr. Sharad Pawar given an irresponsible statement over shooting prices of Sugar in India. We the people of India are very hopeful with person sitting posts like this and also hope they will bring some measures to control prices. But statement given yeaterday that "he was no astrologer and so could not predict when prices will come down". Now who should tell them that these matters are not related to astrology but your policies and tactics. He is duty-bound to tell the country how he is going to bring down prices and not plead inability. Its a sham for Indian politics for its degrading status day by day. Yes he is the Biggest Don of the Don's in India.